It is our policy to protect our clients’ confidentiality and meet our statutory obligations under the General Data Protection Regulation (GDPR) and Data Protection Acts 1988 and 2018. The data that you provide to use this pension calculator is not recorded by us and is solely for the purpose of providing you with estimated projections in relation to your pension. Why do I have no state pension? For example, if you are aged 35 today, you will not qualify for the State Pension until you reach age 68. Therefore, if you had hoped to retire at age 65, you may have to fund the years from age 65 to 68 from your own pocket! Talk to your Acumen & Trust Financial Advisor to see how you can fund that gap. How Much Can I Take as a Lump Sum? What will my pension be worth at retirement? How much will it cost me after tax relief? Pension projections assume the purchase of a pension annuity, based on 0.7% underlying interest rate, for a single life pension without escalation. At retirement alternative options including AMRF/ARF may apply. Lump sum at retirement assumed to be 25% of the fund value. An alternative lump sum calculation may be available to employees in employer sponsored pension plans. If no Target Annual Income (as % of salary) is inputted, a default of 50% of salary will be applied to give a Target Annual Income. State Pension of €12,652 assumed to be maintained into the future, in line with inflation (assume requirements are met to qualify for State Pension). Gross Investment Growth rate 4.1% before charges on the assumption of a risk profile of medium risk. Charges are a fund management charge of 0.65% per annum and 100% allocation on payments. Salary increase of 3%, contribution increase of 3% and an inflation rate of 2% per annum. 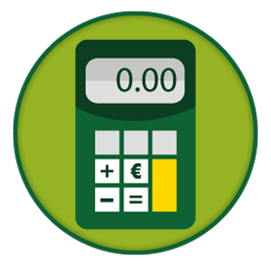 Lump sum at retirement up to €200,000 (from all sources) is tax free. Remaining amount above this to be taxed at relevant rate of tax. Pension Tax Reliefs are quoted at current levels as of November 2016. No policy fees or Pension Authority fee reflected in projections.